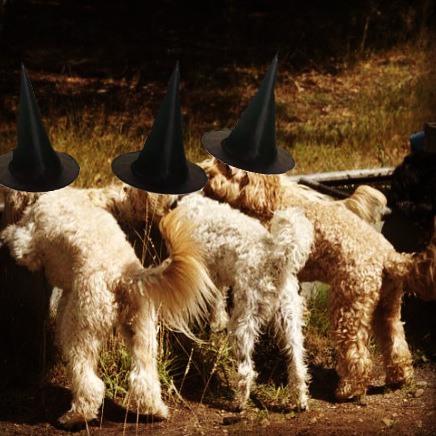 Doodles Halloween Hyde Park Meet on Sunday (1 Nov)! But, Mummy, I am still running in Sussex. And George is still doing “half-term” in the country. Will we be back in London for the Halloween Hyde Park Doodle meet this Sunday? And what will we wear? 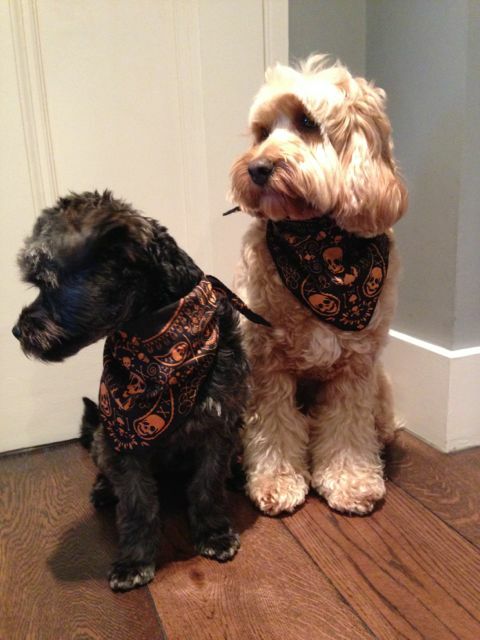 Last year we had Halloween bandanas. May’s comment: I think unlikely, darlings. Thank goodness we did non invest in Halloween costumes! 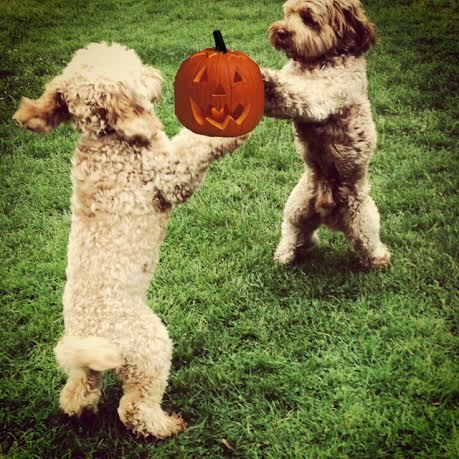 But the Halloween-themed Hyde Park Cockapoo Meet will take place on Sunday at 10:30am behind the Serpentine Gallery. Any human or doodles can wear their Halloween costume! And all can be up to no good! I’ve been recommended your blog by Marzi of ILMC. My partner and I are looking to take on a lovely cockapoo. I’ve researched the breed extensively, but we’d really like to get first-hand experience of the breed to reaffirm that cockapoos are the breed for us. Would you mind terribly if we tagged along on Sunday? It’d be lovely to meet everyone! Are you on Facebook? If so, join the Hyde Park Cockapoo Friends page – and come along to our meets when you have your cockapoo!